Feel like something’s missing on your blog? Or could it be your logo? While most B2B bloggers focus on improving minutiae, the truth is their content is just plain boring. As a B2B owner who engages in online marketing, you were probably told that a blog would propel your company to the top of the search engine results pages. Little did you know, however, how tricky it would be to come up with engaging blog posts on a regular basis. People often assume that trade blogs are dry and uninteresting by their very nature. That isn’t—and shouldn’t be—the case. After all, who will keep coming back to your blog if they’re bored to tears whenever they visit? Luckily, there are plenty of easy ways to spice things up. Here are 25 useful tips to turn your B2B blog into something that delivers the returns you deserve. It’s never too late to make your B2B blog an effective part of your online marketing strategy. I can’t emphasize this one enough: Whoever writes for your blog should be an innately talented writer. Moreover, they should actually enjoy writing, and their enthusiasm should shine through in their work. It’s plainly obvious when an industry blog has been written by someone who lacks the necessary writing chops. Even if you must pay for it, make sure your content is penned—or typed, as it were—by someone who can truly do it justice. Blogs are meant to be personal. Readers want connect with the human being, not the letters on a screen. Start with a simple introduction that explains who you are and why you’re qualified to talk on the topic. It’s okay to sprinkle in a bit of humor if you like, but not necessary. Feel free to use the second person too by addressing readers as “you” from time to time. If you decide to run a B2B blog, it should revolve heavily around your industry. The more niche you make it, the better off you will be. With that in mind, stay abreast of the latest industry happenings, and touch upon important topics as they arise. Stay in the loop about the latest news and trends concerning your industry, and pay attention to what thought leaders in your industry are doing and saying. This will have you jumping out of your seat with new, creative ideas. Industry blogs are often stifled by the notion that they should be formal and professional at all times. The result is stilted, dull language and bland, uninspired content. Go ahead and let your personality shine through in your blog. It’ll make it more fun to write, and your readers will appreciate it too. Because a B2B blog represents your company, it’s natural to want each blog post to be absolutely perfect. However, editing it to within an inch of its life won’t do you any favors. While posts should be proofread prior to publication, don’t fret over every last thing. That’s a surefire way to sap your creative energy and to start hating everything about running your blog. To broaden their horizons a little, B2B owners often stray from their niches to cover completely unrelated topics. This may make it easier to brainstorm new ideas, but it has the negative effect of alienating your audience. Readers will turn to you for specialized information, so give it to them. Padding your blog with posts covering random topics does more harm than good in the long run. To you, updates to your blog or website are probably pretty exciting. Trust me, though: no one else cares. Sharing such news in your blog only shows that you are completely out of ideas. If you find yourself tempted to share news about technical updates, sit down and start over. Better ideas can and will come to you—I promise. Be like Nostradamus from time to time by making predictions about the direction of your industry. It may feel a bit risky—will readers come back and call you out if you turn out to be wrong?—but it’s a great way to expand your horizons when coming up with new topics to cover. You don’t need a crystal ball to make this work. Just stay informed about your industry and share educated predictions with your audience. A big reason for running out of writing inspiration is feeling like you must hold in your emotions. Here’s the thing: Readers appreciate it when you do, and it makes your content a lot more relatable. Go ahead and express how you feel about stuff from time to time. For example, are you excited about that upcoming trade show, or are you dreading it? Expressing your emotions should open up many new possibilities for spicing up your blog. Let readers in on how your company operates by occasionally sharing inside stories about interesting happenings. Giving them a glimpse “behind the curtain” will keep them engaged and give you a lot more interesting fodder for your blog. For example, in the weeks leading up to an important product launch, create posts about how the company is preparing. When important new employees come on board, share the news. Writing blog posts is much easier when you keep it personable. Still, because it represents your company, your blog should maintain an adequate level of professionalism. Spice up blog posts with occasional quips about how you’re thinking or feeling about certain topics. Write as if you are having a face-to-face conversation. Everything else will fall into place from there. All too often, B2B blogs merely skim the surface of the topics that matter to their audiences. Generic, fluffy posts are easy to churn out, to be sure, but they leave a lot to be desired. Your industry blog will be far more compelling when you delve deeply into topics from time to time. If you’re worried about holding your audience’s interest through such topics, create a series of posts to break things up into digestible chunks. This has the added bonus of keeping your readers coming back for more. I know, you’re not a journalist. However, getting out there and interviewing important people in your industry is a great way to come up with interesting topics for your blog. Of course, you don’t have to literally interview people face to face. Through email and social media, you should be able to conduct at least occasional interviews that will give you all kinds of blog fodder. Internet users dislike being presented with walls of text. A great way to enhance your industry blog is to sprinkle it with relevant images, videos, and other media. Get a subscription to a stock photography service to ensure you have plenty of options at your disposal. Include your own photos, videos, and other creations too to keep your audience engaged. Online, you can find statistics and other data about virtually any topic under the sun. Fill your posts with data from reliable sources to make it more engaging and useful. Don’t stop there, though. Share statistics and other data regarding your business and industry too. In other words, be your own source. Since you own a B2B, you are surely very knowledgeable about topics that relate to your industry. Kick things up a notch by focusing your attention on a very niche area, and learn everything you can about it. By becoming an authority on a particular subject, you will be swimming with ideas that matter to your audience. As you learn new things, additional ideas will spring to mind more easily. A B2B blog needn’t be stodgy or overly prim and proper (in fact, quite the opposite). Like Buzzfeed does, create posts in a list format, publishing listicles from time to time. 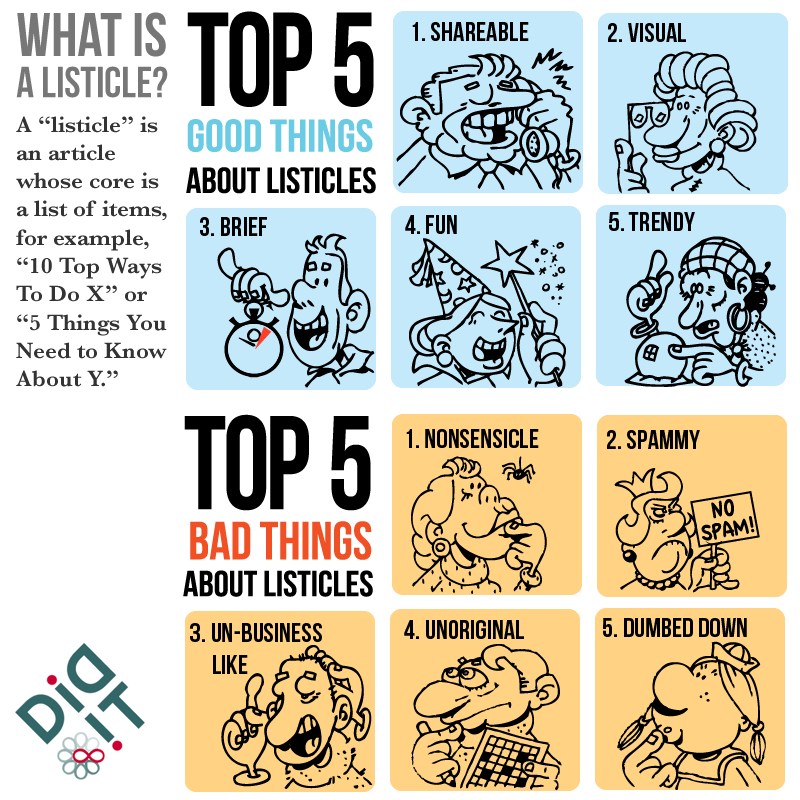 Listicles are easy to write and fun to read even if they are written on dry topics. B2B blogs tend to shy away from especially difficult topics. Getting to the bottom of something that tends to stump people who rely on your products or services requires a lot of work, but it also gives you incredible ammunition for generating interesting blog posts. Zero in on issues nobody seems to be trying to resolve, and commit yourself to solving them. Whether you’re successful or not, share your findings with your audience. I don’t care how niche your B2B business is—there are sure to be plenty of pertinent memes out there regarding it. Dig them up, and share them on your blog from time to time. 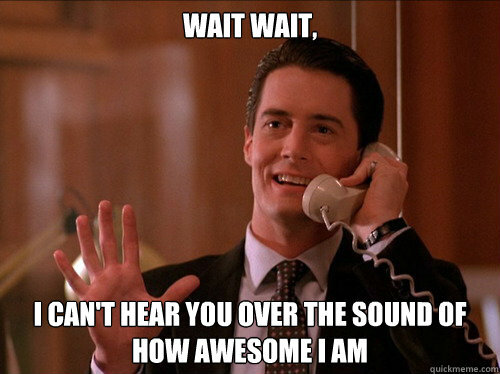 Provide commentary regarding the meme to keep your blog plugging along. If you strike out and can’t find many memes, create your own. There are tons of apps for this, so there’s no excuse for not giving it a go! Yes, you primarily write on your B2B blog to promote your business. However, constantly posting overtly promotional posts is not the way to go. Tooting your own horn from time to time is fine, but don’t let that become the overriding theme of your entire blog. Your audience will be bored to tears, and they’ll probably be annoyed to boot. Use apps and widgets to quickly and easily survey clients and prospects. Share the results, and comment on them in your posts. Don’t be afraid to seek out surveys and polls from other sources too. Even if they are not very recent, they will probably be interesting to your audience, and creating posts around them is fun and easy. On the one hand, you want to come across as an authority in your industry. On the other hand, though, you want to connect with your audience to keep them engaged. You can’t do that without showing a little empathy here and there. When the situation warrants it, use phrases such as “…like many B2B owners…,” “…I know how it is…,” and “…I see that all the time…” to show your audience you understand them and to give your posts more personality. If a newsworthy event impacts your industry—even if only tangentially—go ahead and write an article about it. On social media, this has the added bonus of potentially having your post appear in trending topic feeds. Don’t go too far, though. You may find yourself trying to tie every current event to your industry, and that just won’t fly. When it makes sense to do so, however, this tactic can work wonders. Write crossover blog posts that tie seemingly disparate ideas together from time to time. For example, let’s say you run a business that provides uniforms to the hospitality industry. You spend time marketing your business too, so why not write a post that explains how the right uniforms can enhance your marketing efforts? This is great because it subtly promotes your products while allowing you to showcase your expertise in a whole new way. The vast majority of industry blogs give controversy of any kind a wide berth. This is generally a wise move, but rocking the boat a little here and there wouldn’t be the end of the world either. Go ahead and “go there” regarding the proverbial elephant in the room from time to time. Get stuff off your chest. Just make sure to stay tactful and professional while doing so. As you can see, B2B blogs tend to be dry and boring due to preconceived notions about how B2Bs should express themselves online. While your blog shouldn’t come across as careless and sloppy, it shouldn’t be formal to the point of complete dullness either. Commit the above tips to memory, and keep them in mind to transform your B2B blog from one that’s mind-numbingly boring to one that’s absolutely fascinating. Be honest: Would you voluntarily read your own B2B blog?